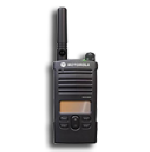 Whether you have an interest in long range walkie talkies used like two way radios we have every solution available. 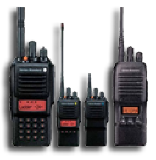 As a leader in the supply of long distance walkie talkies and wireless radios we also carry all accessories. We have developed a brand new website specifically for two way radios (we supply many more than on this website) that has every radio with all brands and all accessories (including ATEX handsets) that we sell online with full technical specifications. This is really to draw your attention to the fact that we sell thousands of long range two way radios in the UK. Water resistant, lots of channels, miles of range, if you need long battery life, fully rechargeable battery, hands free operation, use of privacy codes these radio sets on our above website cover every aspect of radio sets that you can think of but below are just a few sample radios that we sell. Remember that long distance radios depend on ideal conditions of weather and line of sight for communication. Some units have 22 channels and some 50 channel but include 142 privacy codes. Below are just an example of the hand held radios we have available but a visit to our other website includes hundreds of long range walkie talkies. Note that in the UK there are no noaa weather alerts. Range generally on the hand held devices is between 4km and 8km range. If you need 35 miles or 50 miles then you need alternatives to these hand held devices. Introducing Motorola's newest addition to the license free market, the XT420, for business and everyday use. With a range of approximately 8km, depending on terrain. Introducing Motorola's addition to the license free market, the XT460, for business and everyday use. With a range of approximately 8km, depending on terrain. Simple, compact and easy to use by all the family. 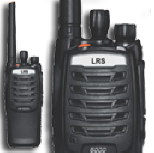 Shopping, on the beach or just playing in the garden, the TLKR T40 is great for staying in touch. When License free radios can't deliver the range, or if channels are congested by others, get the Opus T2-PRO. Opus T5 waterproof Radio - rugged and works in most environments. Massive features and ready to go right out of the box. For lone worker with a 'man down' option, these radios are a very cost effective solution and work exceptionally well without compromise. Class leading robustness, clear audio quality and top-of-the-range features, including audible channel recognition, using speech synthesis. Long range two way radios. 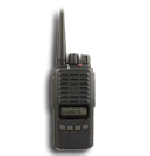 The radios from ICOM are suitable for a variety of needs – large or small, mobile or stationary. Offering a wide frequency range, multiple signaling and loud audio. Standard is now Yaesu, one of the big four in radio communications. Vertex radios should be a considered especially when it comes down to buying a rugged licensed radio for the UK.